For many veterans and retired law enforcement officers, the thought of going into the gun business seems like a no-brainer. We all want to do what we love, get paid for it, and be around people like us. If you grew up in the firearms community, or have just recently caught the bug, having your own firearms business could be your New Years Resolution. The truth is guns are a hot button issue. They have been since the creation of gunpowder. There are a number of obstacles aside from cultural opposition that you’ll have to overcome. There is no shortage of strict laws and record-keeping requirements that go along with firearms sales. But if you're a firearms enthusiast, you probably already know that. To become a dealer, you’ll need to get your federal firearms license (FFL). There are nine different types of licenses, and they vary based on what you’d like to actually do in the firearms market. After you get your FFL, or if you already have one, I have a suggestion for you that will get you in on the ground floor with a new opportunity from Beretta. 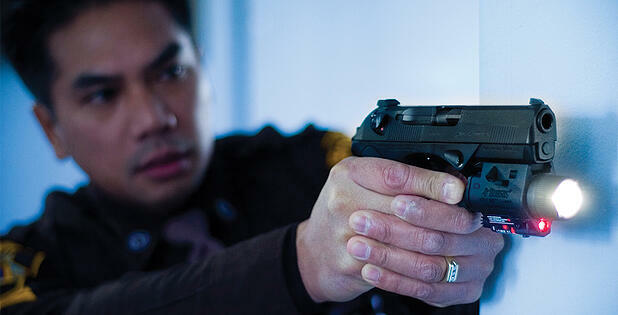 For over five hundred years Beretta has delivered the best solutions for security operators worldwide. Beretta works closely with folks in law enforcement and the military community. Hollywood has captured the connection many times in its movies. I know Marines that swear by their M9s after carrying them in the big sandbox overseas. It’s a battle tested weapon system and a symbol of Beretta's success. Now Beretta is fostering new opportunities in 2014 with the creation of a brand new company called Beretta Defense Technologies (BDT). BDT aims to outfit entrepreneurs that have served as first responders, law enforcement, military and security professionals as sub-distributors. If you have ever wanted to add firearms sales to your life’s story, this is going to be a year to realize that American dream. The program requires a minimum investment and includes guidelines that will help you succeed with BDT. This new division has some hot new products rolling out that Beretta wanted you to get the first look at. There is a new semi-automatic modular rifle system called the ARX-100. There is a new sniper rifle with multiple caliber configurations that can be customized for the mission. It’s not all battlefield arms either. There are concealable handguns in 9mm, .380 and .32, packaged in pistols like the Nano and Pico that are designed to be “snag free” and easy to shoot. And it’s not just for those that are starting up new businesses. Beretta is giving back to those who serve the public by providing discounts and extra gear when you buy new products from the BDT program. This includes district attorneys, judges, firefighters, probation and parole officers, as well as all sworn law enforcement in city, county, state and federal positions. Of course, active and retired military personnel will also be recognized in this program. Applying is easy: just contact them through this online form and you're done. BDT is an alliance of strong companies like SAKO, Steiner/Germany, and Bennelli that will offer some hot new products in the coming year. These companies have focused their combined technical prowess to supply the operational needs of professionals in the defense and law enforcement businesses, worldwide. New Years is always the time of the year where I seek opportunity, and want to make positive changes in my life. 2014 could be the year when you find your niche and get plugged into the life you always wanted. If you want to check out a new opportunity or just some cool firearms, be on the look out for Beretta Defense Technologies and let me know what you find out. For more information or to get started with your discount, just fill out this form. Rev. Kenn Blanchard, internet radio broadcaster, online advertiser, veteran, concealed carry activist and Harley Davidson motorcycle enthusiast shares whats on the minds of hunters and concealed carry permit holders.